This post reveals the key fundamentals & advantages behind combining both traditional offline marketing methods with online marketing strategies, from email to direct mail, so you get bigger results for your effort, and more sales and profits. Finding and making contact with people who can buy from you. Creating a process that gets them to buy from you. Following up with those people in a way that compels them to buy from you again and recommend other people to buy from you. Social media like Facebook, Twitter, Google+, Instagram and other platforms. Joint ventures with marketers who have email lists in the same or related niches. Video marketing on sites like YouTube. Follow up that leads to content or sales letters promoting other products or services. 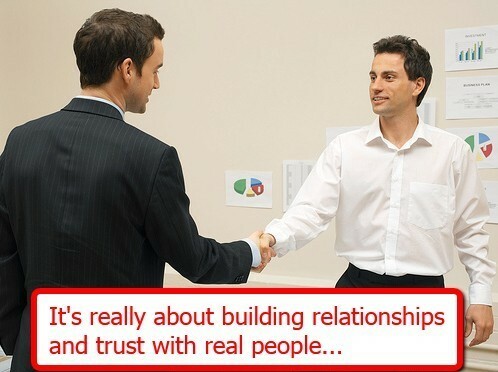 What’s more important than the strategies used is that most good marketing is about building relationships and trust with real people. That’s what leads to sales, follow up sales and referrals. Most (but not all) online marketers are leaving huge sums of money on the table because they’re ignoring the marketing potential of offline strategies. Some clever online marketers have embraced the combination of online and offline marketing strategies and their returns and profits increase almost exponentially. Smart marketers have discovered that offline strategies like direct mail, telemarketing, physical seminars dramatically increase the price they can sell products and services at over online marketing alone. And they also dramatically increase the depth of relationships that the marketers build with their prospects and customers. This report is not meant to be a step by step guide. 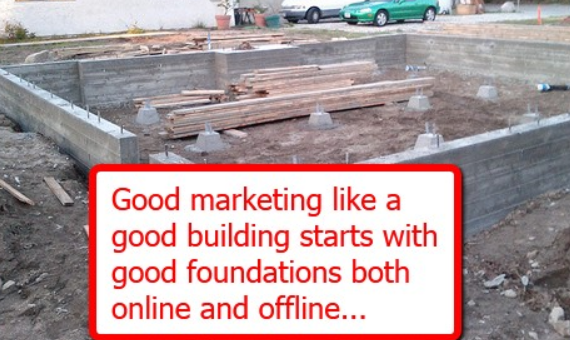 It’s an introduction to the idea of combining online and offline marketing strategies. Any one of these offline strategies might require a whole pile of education to use effectively. Old school marketers are already very familiar with most of these strategies. Most offline methods are far more effective. You can sell a much higher percentage of prospects at much higher prices using offline methods. Offline methods can often be scaled up in a huge way. Businesses have been built from shoestring budgets into enterprises worthy hundreds of millions of dollars in the direct mail industry because of the potential to scale up direct mail pieces that produce a positive return on investment. Most offline methods have a physical cost which means there can be an element of risk if you’re not careful. You need to be constantly aware of your costs and returns and ensure whatever method you use makes you a profit. Direct mail…lumpy mail (packages and letters with some kind of physical attention grabber in them). Referral direct mail to a list of customers from a business in a related niche. Telemarketing…calling prospects who have already expressed an interest in a product or service. Telemarketing…calling customers who’ve already purchased to sell other products and services. Referral telemarketing…calling customers from a business in a related niche. A highly lucrative area that’s barely been touched is using processes that combine online and offline strategies. Some parts of the sales process work better online, some work better offline and some work better when you include both. To complicate things more different types of prospects and prospects in different niches all respond to different combinations of marketing strategies in different ways. So there’s no “one size fits all” approach. You need to test different methods and combinations to see what works for the particular situation you’re dealing with. What is the ideal way to move a prospect in this part of the sales process forward? What is the lowest cost way of taking the next step in this process? It will probably be online. What is the most effective way? It will probably be offline. You can weigh up the different factors and remember that you’re not limited to using just one strategy. You can use multiple strategies at the same time to increase your results and to see which strategies are getting you the best return. Adding offline marketing strategies into your marketing mix can create an exciting and bewildering array of different options. 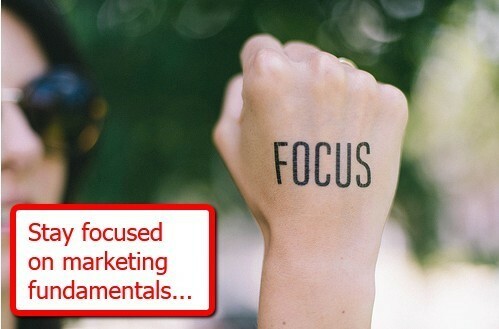 The easiest way to avoid making costly mistakes and to stay focused on what’s really important is to keep yourself tapped into the marketing fundamentals I mentioned at the start of this report. Staying focused on those foundations will help you get a good percentage of positive results. A timely reminder, Dan Kennedy built his reputation using offline direct marketing but has now successfully combined it with online marketing also so what you say makes a lot of sense. A lot of what is considered old fashioned such as direct mail shots still works very well if you do it right.